Dabo Gong is also known as Tu Di Gong, and is the god of soil and land. He is traditionally venerated as a part of burial rituals, and his reputation for granting blessings has earned him the formal name of Fudegong, the lord of blessing and virtue. It was once thought by the other gods that Dabo Gong was too free with his gifts and blessings upon the mortals, and they complained to the Jade Emperor. The Jade Emperor decided that the best solution would be to give him a wife who could look over his shoulder and make sure that he was dispersing gifts judiciously. So he found a girl who had been wrongfully accused of a crime and took her to heaven to become Tu Di Po, the wife of Dabo Gong who carefully restrains him from being too generous with his blessings. Pixiu: Winged lion that generates gold when fighting. Bearing a strong resemblance to a winged lion but with the head of a single-antlered dragon, Pixiu is a powerful mythical creature that wards off evil spirits and possesses an insatiable hunger for gold and silver. The last attribute led many to believe that the creature is able to attract wealth from all directions, and some literal depictions see the creature bring gold in its mouth. Despite the association with fortune, Pixiu is also a very fierce creature with sharp fangs and a ferocious spirit in battle. 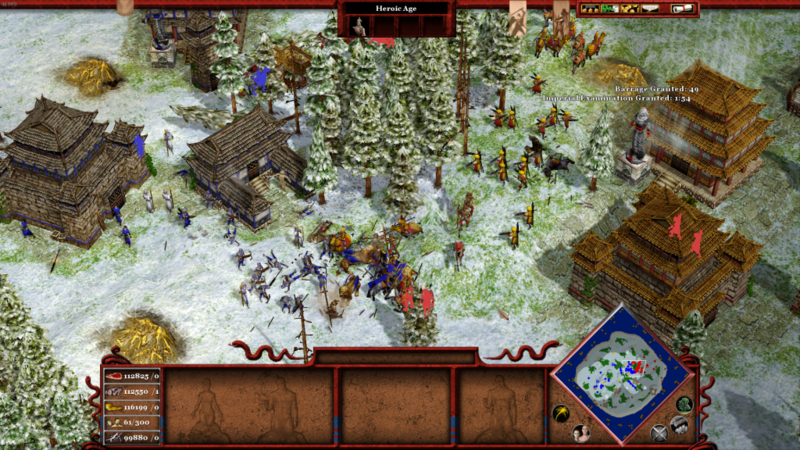 Backed by an army of Monks, Pixiu tries to hold the front line while pushing into the enemy’s base. 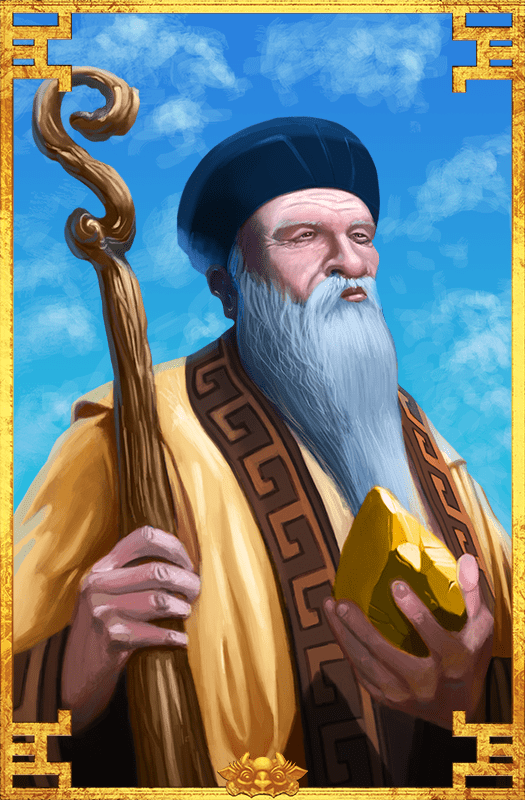 Imperial Examination: Dabo Gong’s God Power speeds up all your Building constructions and training times. Ideal to quickly extend an advantage over your opponent. House Altars: Dabo Gong increases the rate at which Gardens generate Food, Wood, Gold and Favor. Burials: Dabo Gong makes Monks convert enemy units at a faster rate. Landlord Spirit: Dabo Gong makes your villages prosper by reducing the time it takes to train Peasants.